Byron J. Scullin's bass bath performance installation, which was staged in steel structured, cold storage rooms at the Tasmanian port at Dark MOFO last year, was an enjoyable experience of sound and light: A large array of double 18" 2100-horsepower monolithic subwoofer speakers let a set of specifically tuned pure sinusoidal waveforms wash over one's body to create unique physical effects in the participants. Light and scent enhanced the rumbling waves from the two bottom octaves of hearing between 30hz and 80hz. "Bath" proved to be well chosen term as one felt soaked in sound, baptised in the circle of doom and drone and as having received the unholy sacrament of sound. While Scullin's installation lasted mere minutes, Sunn O))) celebrate their ritual of resonant, cacophonous feedback recycling and agonizingly slow riff cycling to create monolithic, tectonic soundscapes over 2 hours. Sunn O))) on recordings is interesting. Live it is an experience. Physical as in changing one's molecular structure. 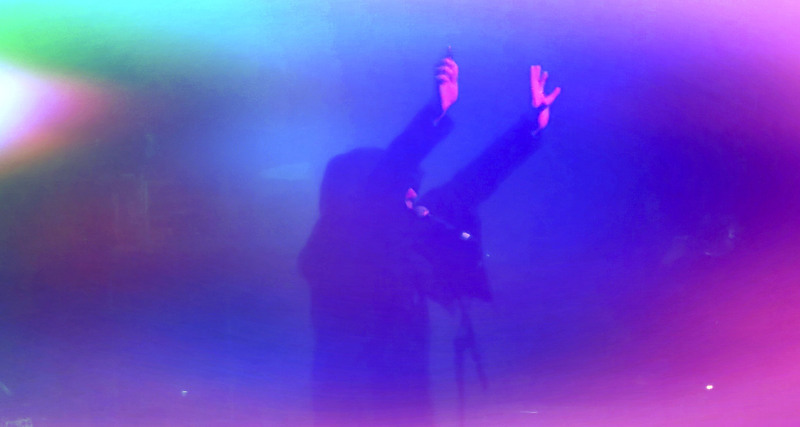 Once you enter the mass of Sunn O))), you surrender. 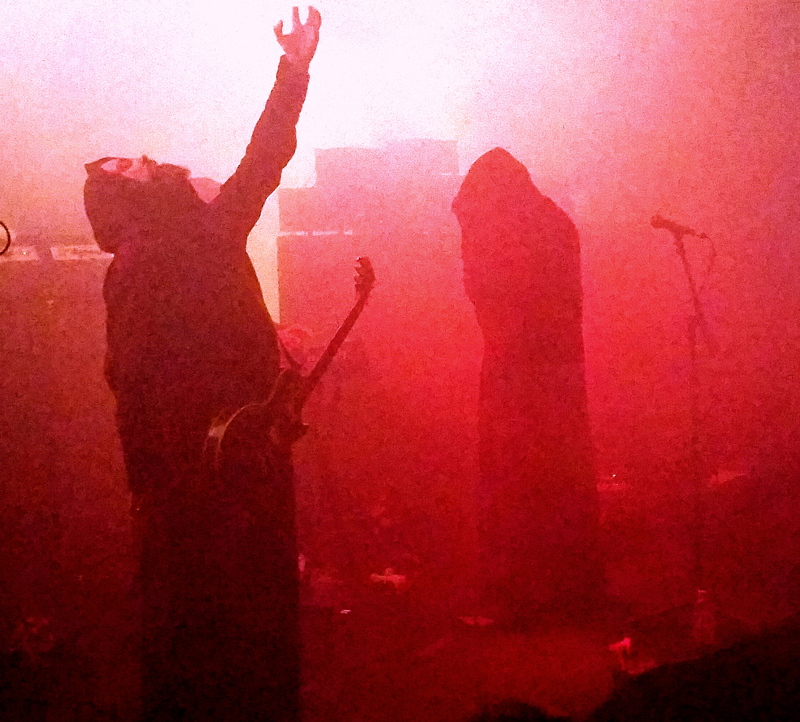 Sunn O))) hijack your body, make your corpse their instrument. Their droning sonic onslaught will do the breathing for you as their hum resonates in your chest. Sound thickening the air more than the fog machines that have been pumping the venue full of dry ice prior to Sunn O))) materializing on stage. A remarkably physically demanding yet meditative, massaging and relaxing experience, with the resulting tingling often prompting paroxysms of giggling in your humble narrator. Stephen O'Malley and Greg Anderson, the two core members, are known for surrounding themselves with a varying cast of collaborators. Tos Nieuwenhuizen orchestrating the synths would give Dr. Robert Arthur Moog the heebie-jeebies. Longtime member Attila Csihar (formerly of Tormentor and Mayhem and countless collaborations such as with Current 93, Jarboe, Ulver, etc.) delivered operatic vocals, murmurs and demonic chants. A costume change at the end transformed him from the front-druid to a demonic Lady Liberty with laser beams emanating from his phalanges. More of an interdisciplinary performance artist than traditional front man.